PALO ALTO, CA – July 16, 2018 – Striim®, provider of an enterprise-grade platform for streaming data integration, announced today that it has expanded its relationship with Microsoft to continuously feed real-time data from a broad range of data sources such as Oracle® Exadata®, Teradata®, SQL Server and other relational database sources, into Microsoft Azure SQL Data Warehouse, Azure SQL Database and other Azure analytics services including Azure Data Lake Storage, Azure Cosmos DB, and Azure HDInsight. This integration helps Azure customers rapidly deploy data pipelines to make real-time operational data available for modern data warehousing, advanced analytics, and machine learning solutions, enabling operational decision making on a continuous basis. Striim’s cloud-based services simplify setting up real-time data pipelines from existing data warehouses and operational databases into Azure SQL Data Warehouse, Azure SQL Database, Azure Data Lake Storage, Azure Cosmos DB, and Azure HDInsight. 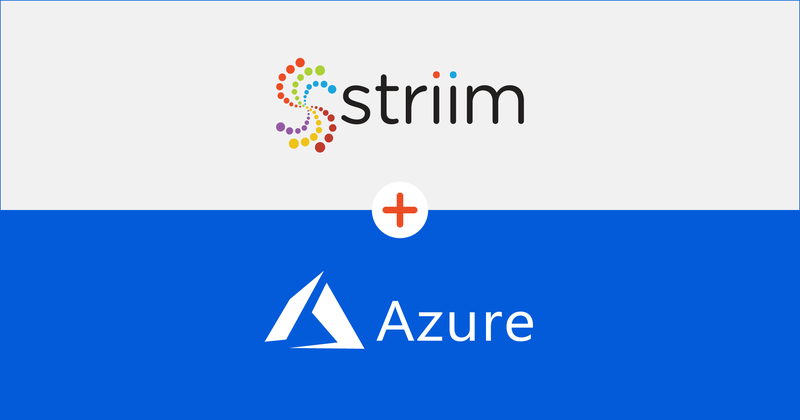 The Striim platform, running in Azure, offers non-intrusive, real-time data ingestion from data warehouses (including Oracle Exadata, Teradata, and Amazon®Redshift®) and databases (including Oracle, SQL Server, HPE®NonStop®, and MySQL) to enable continuously updated operational data for cloud-based analytics without impacting the performance of source systems. Striim helps to enable fast data loading to Azure in streaming mode or batch mode using optimized interfaces. In-flight data processing allows Striim to help reduce on-premises ETL workloads. Facilitate building a hub-and-spoke architecture for Azure SQL Data Warehouse using real-time data sub-setting. Build a modern data warehouse with a real-time data store that supports operational decision making. Run operational workloads and set up data stores on Azure SQL Database, Azure Database for PostgreSQL®, and Azure Database for MySQL® by continuously ingesting transactional data. Implement advanced big data analytics, machine learning, and AI based on low-latency, pre-processed data by setting up real-time data pipelines to Azure Data Lake Storage, Azure DataBricks, and Azure HDInsight from diverse sources, including databases and log files. 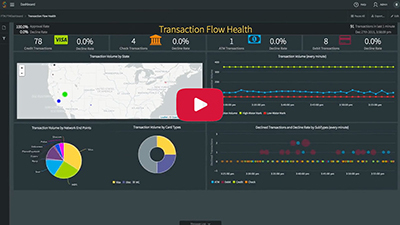 In-Flight Data Processing: By filtering, transforming, aggregating, enriching, and masking data in-flight, Striim minimizes on-premises ETL workloads and delivers pre-processed data into analytical services to accelerate time to insight. Built-in Pipeline Monitoring and Validation: Striim carefully orchestrates the data integration processes and continuously monitors data pipelines to ensure zero data loss and transactional integrity. SQL Language and Wizards-Based Development: Via its intuitive development interface that uses SQL language for data processing, as well as easy-to-use integration Wizards, Striim enables Azure customers to set up real-time data feeds into Azure in minutes. The Striim platform offers in-flight data transformations and enrichment capabilities, and also integrates with Azure DataBricks via Azure Data Lake Storage to allow highly complex transformations using Spark. Striim can also import the machine learning models developed by Azure DataBricks for in-flight data scoring. Striim for Azure SQL Data Warehouse, Striim for Azure Data Lake Storage (gen 2), and Striim for Azure Cosmos DB are available for preview. Please contact us for a demo or walkthrough of the live solutions. For more information about Striim’s collaboration with Microsoft and integration solutions for Azure analytics services, please visit www.striim.com/microsoft-azure/. The Striim®platform is an enterprise-grade streaming data integration solution. Striim makes it easy to continuously ingest and process high volumes of streaming data from diverse sources, on-premises or in the cloud, for real-time Kafka, Hadoop, NoSQL integration and hybrid cloud infrastructure. Striim can collect data from enterprise databases (using non-intrusive change data capture), log files, messaging systems, and sensors in real time, and deliver to virtually any target on-premises or in the cloud with sub-second latency. Companies worldwide use the Striim platform for a wide variety of use cases including data security, fraud detection, SLA monitoring, customer experience, data modernization and centralization, and Internet of Things (IoT) edge processing and analytics. Please visit www.striim.com, read our blog at www.striim.com/blog, follow @striimteam, or download the Striim platform.